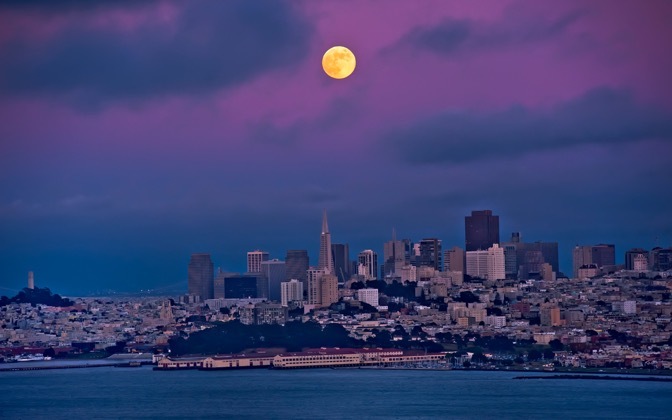 A little blue sky coupled with the full moon goes a long ways in creating an ethereal feel as the San Francisco skyline looms in the distance. Nikon D700, Nikon AF-S NIKKOR 70-200mm f/2.8G ED VR II. Send a Private Message to the Artist of "San Francisco Fever"